Passion for detail is interwoven with the highest quality of standards at the 4*Superior Romantik Hotel GMACHL in Elixhausen, Salzburg. In operation since 1334, and now managed by the 23rd generation of the family, this gem of a hotel is situated in an idyllic village setting only 5 km from the Old City of Salzburg. 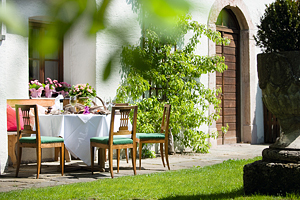 The 4-star Superior Romantik Hotel & Restaurant GMACHL is the oldest family-run business in Austria. Today, Michaela Hirnböck-Gmachl und Fritz Hirnböck manage the hotel with a modern, innovative hotel environment. Let your dreams become reality in one of our 73 luxurious rooms and suites. The rooms and suites of the hotel have been fitted with furniture made of natural materials, and thus provide the perfect ambience to accommodate your holiday dreams. 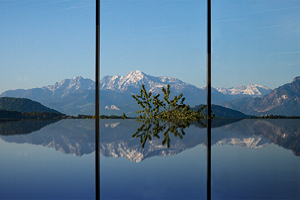 Spread out over 1,500 m², our lavish panoramic ‘Horizon’ SPA overlooks Salzburg and offers you a breath-taking view of the Salzburg mountains. Enjoy our award-winning cuisine and exquisite wines in addition to specialities and products from our own family butchery and the local region. Take a seat and unwind in our lovingly furnished lounges or our romantic garden. 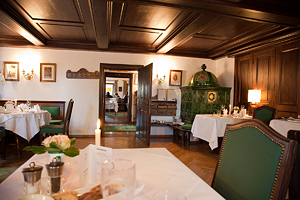 The oldest family-run business in Austria is a wonderful hideaway for aficionados and connoisseurs. The Salzburg restaurant GMACHL, recipient of numerous gastronomic awards, is well-known for its international cuisine and offers guests a wide variety of culinary delights. Drawing on traditional recipes and their exceptional finesses, the imaginative chefs create superb dishes made from fresh, regional products all year round. Our own family butchery as well as the many culinary events lend the gourmet restaurant a very special flair. The delectable specialties are served in the lovingly renovated parlour and on the patio in the idyllic garden. The hotel bar and fireplace lounge offer our guests the perfect location to cap a gourmet evening or to have a cheerful conversation. Would you like to celebrate your birthday in a festive environment? Are you organizing a symposium and still need to find a suitable location? 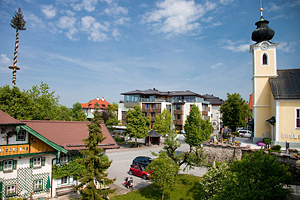 The Romantik Hotel GMACHL, set in the picturesque town of Elixhausen on the outskirts of Salzburg, is the ideal place for events of all kinds. The Romantik Hotel GMACHL offers a unique ambiance and pays meticulous attention to detail, and is therefore predestined to be the location for your momentous occasion. Three bright, well-equipped seminar and conference rooms give you the assurance that your get-together will be a grand success. 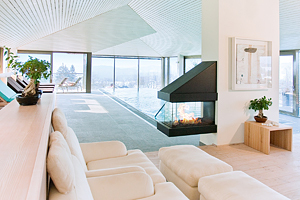 The breathtaking GMACHL panoramic 'Horizont' Spa, on 1,500 m² of floor space at the top of the hotel, captivates guests with its fantastic views of the charming city of Salzburg and the surrounding mountain landscape. Enjoy this spectacular scenery while swimming a few laps in the ‘Panorama Pool’ or just unwinding on a lounge chair. It is of utmost importance for the staff of the GMACHL wellness hotel in Salzburg to bestow upon their guests a sustained feeling of well-being. Health and beauty treatments with long-lasting effects are an integral part of many of our packages – and this is exactly what wellness with a farsighted view means to us! Salzburg, also known as the Mozart City, with its unique charm as well as the hilly Salzburg Flachgau scenery with the nearby, wonderful Salzburg Lake District are certainly worth a trip at any time of the year. There are many art and cultural treasures to discover in Salzburg’s Old Town whereas the fabulous and pitoresuqe landscape of the Salzburg Lake District offers a unique backdrop for more sportive recreational activities. Have we convinced you? Then send us a non-binding enquiry.